alt. country) but in many ways defines the soulfulness of heartfelt country. Written sung and played with total conviction and belief! If you like Neil Young, you will probably love Israel. Far from a copy but inhabits a similar musical area and on this album exhibits an almost mellow, but tremendously powerful melodicism and individuality with his great songs! Pleasant album of roots music that often leans towards a country feel, with excellent songs and skilful playing. Holcomb’s warm expressive vocals blend perfectly with his equally talented wife Ellie. No great excitement on the album but it does have a strong melodic appeal. 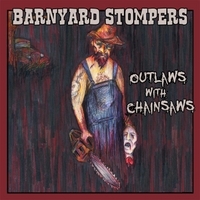 Incredible album of dark ‘backwoods’ country music played by a talented duo that produce as much noise as any four piece band! Tremendous album of country rock with a slice of roots rock that puts this excellent Australian band up there with the top U.S bands. Great songs, great vocals and great playing on a musically diverse set of songs! A really good album of folksy Americana songs that has a lot of diversity. Good songs, beautifully sung and played by several different vocalists. Terrific album of quite sparse folksy country by a hugely talented singer/songwriter who inhabits a similar area to Sam Baker but with much stronger vocals. Has been compared to Nebraska era Springsteen and on the strength of this album that is not too far from the mark! Terrific album of excellent songs, beautiful vocals and often slightly unusual instrumentation that has it’s roots in country but contains as much diversity as anyone could wish for! A real treat for the senses. Some tremendous heartfelt songs by this talented four piece band who have two of the best vocalists around, particularly in the alt. country genre. Terrific album of classic alt. country. Excellent songs beautifully sung and played by a band who for basic comparisons sake work in a similar melodic territory to Son Volt & The Jayhawks. Remarkable album by a man who plays cello amongst other things and blends folk and jazz into a pretty much unique, virtually freeform (but with structure! )music, that at times borders on the avant garde! If your listening pleasure is by way of something different (but very good!) you will not find better. Incredible album of dark modern day folk songs with sparse instrumentation that includes some of the eeriest fiddle playing around. As powerfully wordy as a young Dylan!